Reached #1 App in Food and Drink in USA, Canada, Netherlands, Finland, and many others! The meals are packed with anti-inflammatory, anti-oxidizing fruits and vegetables, as well as plant based proteins, healthy fats, and an abundance of flavors. In just 5 days you will lose weight, see changes in your complexion, and gain a better understanding of what it means to eat clean for your body. 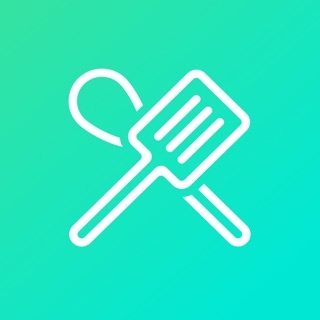 The app will walk you through every meal so that even the least experienced cooks will be able to make these simple, Instagram-worthy meals and snacks. 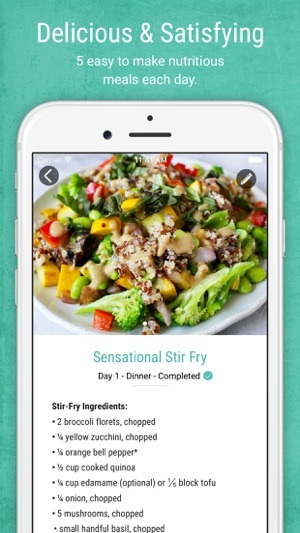 Get customized daily alerts for every meal throughout the day. All the ingredients are laid out easily for you. Organize by recipe or view the complete ingredient list. 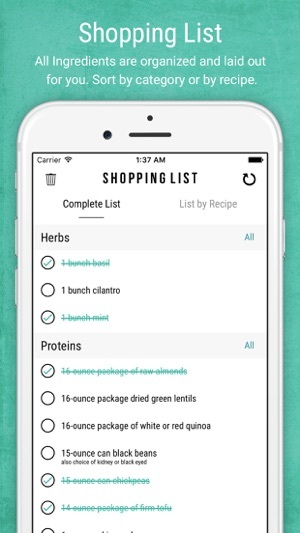 Check off ingredients on your phone or glance over to your Apple Watch and to view the shopping list. 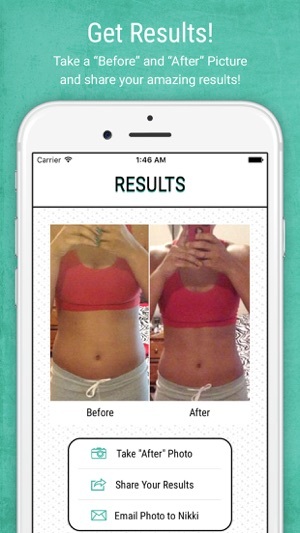 You will have the chance inside the app to take a before picture. Once you complete the detox, you will get a chance to take an after picture which automatically gets stitched together, allowing you to see your incredible results in only 5 days. 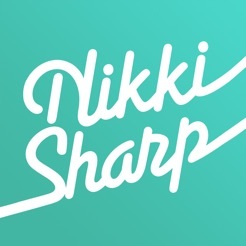 Share your results and testimonial with the click of one button to Nikki! 8 Sections of useful tips, tricks, and practical information to help you reach your health and wellness goals. FAQ answered by a Dietician to clear up any concerns during the detox. • Optimized for iPhone 6s, iPhone 6s Plus, iPad, and iWatch! 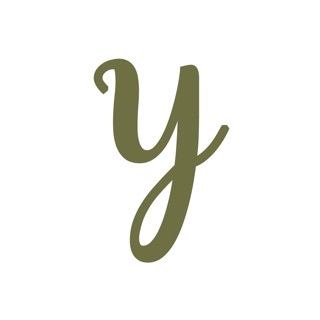 • Take photos and share to Instagram directly from the app. • Choose between male & female sized portions. • Simple design, easy to use, satisfying meals! 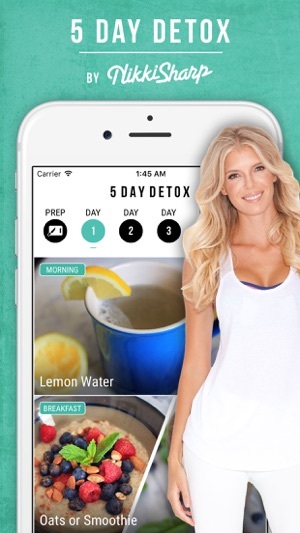 - Use #5DayDetoxApp to share your photos and results. • New Book Tab - info and links for 5 Day Real Food Detox paperback book. • Start detox right after prep. When you finish the prep, you now have the option to jump into Day 1 of the Detox. • Male and Female Shopping List updates for "Complete List"
• Update for watchOS 2 - make sure your Apple Watch is updated to watchOS 2 to continue using the 5 Day Detox shopping list on your Apple Watch. I would give the detox 5 stars. If you want to do it I might suggest getting the book instead of the app. There are things the app says it will do but doesn't. Items are missing from the shopping list (eggs) or in the wrong amount needed. The reminders don't work, I'll sometimes get one randomly but never when the app says they're scheduled. I sent all the things I noticed to the developer and got a response weeks later that they'd be fixed in an update. After the update, more things are missing from the shopping list. I waited to give a review so things could have a chance to be fixed but they haven't. Also the link from the app to review doesn't even work! 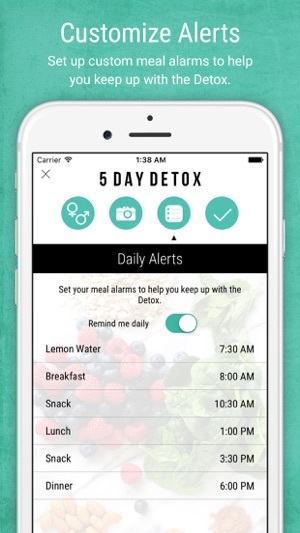 So, great detox, poor app. I love that this detox is made up of real food. The quantities were satisfying and the recipes were interesting and fun. This is great to do every so often for a “tune up.” I found the app to be helpful and convenient! I love Nikki’s detox (I had the book prior and now the app!) and the app makes it so convenient. I love the shopping lists which make visiting the grocery store that much easier.